If you are a coffee addict and drink many cups in a day, then you should have a large coffee making machine with all the functions in it. You need to brew the whole pot of coffee to enjoy the whole day and for the best taste of it, you must have a coffee maker with grinder. The features are brilliant and the benefits are limitless. There are different brands which are making coffee makers with grinders and some awesome models are very popular around the world. Deciding on which model you should have is a difficult task. 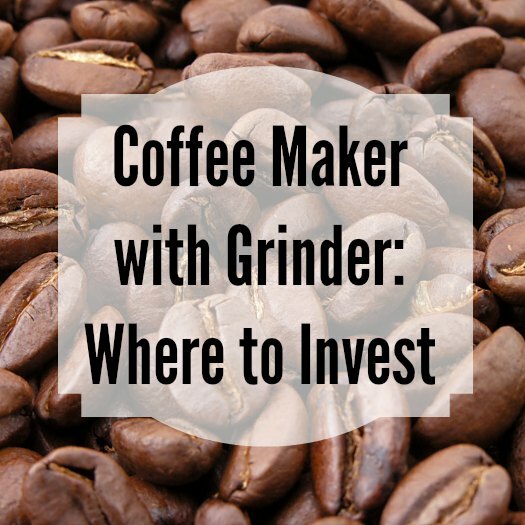 Among many benefits of having a coffee maker with grinder, it helps you to have the best taste of coffee by grinding the fresh roasted coffee beans. You do not store pre-ground coffee for the next time which almost loses the aroma. Researchers say that after grinding coffee beans, it only takes 3 minutes to oxidized ground coffee and it also destroys the taste and aroma of it. That’s the reason for a coffee machine with grinder. Although, there are some facts that you should consider before buying a coffee maker and those facts are necessary to understand. Maximum Capacity – If you are going to buy a coffee maker with a grinder, then you have to take care of capacity of coffee making. You will find some fancy and attractive coffee makers in the market and online store but their capacity is very disappointing. Go for a coffee maker which can make a minimum of 8 cups. You can also buy a coffee maker to make up to 18 cups according to your need. Custom Controls and Settings – Coffee makers with grinders usually have many custom settings to help you make coffee according to your choice. There are auto adjusted settings for grinding fresh beans and brewing them. That’s the reason you should buy a machine with fresh bean grind, which has many custom settings. Auto Shutoff Feature – New coffee makers have an auto shutoff feature which is necessary to avoid any kind of accident in the kitchen. You must buy a coffee maker which has this feature otherwise you may taste burned coffee. Investing on best coffee maker is not an easy task because requirements change from person to person. From user reviews and suggestions, this is a list of top 3 coffee makers with grinder along with their attractive features. If you are willing to buy something unique and efficient, check out these models. This coffee maker is a great selection with a lot of reviews on Amazon. Users love it because it fulfills almost every requirement ]described above. The capacity is 12 cups with automatic and advanced features like auto shutoff, grind off, brew pause, etc. The charcoal water filter gold tone filter helps to provide the maximum freshest taste every time. One of the reasons of popularity is because it is built on North America Electric Standards. So, if you are an Americans, then you have a great cheer by having this great model with coffee giveaways from different companies. This is another great coffee making machine with a built-in grinder, which grinds beans right before the brewing for the best aromatic espresso. People love this machine because of its versatility of making espresso and general coffee with the best taste, and include the must-have features described above. The combination of all these features makes it a unique competitor in the market. Try to read about this coffee making machine before buying any. KRUPS coffee makers are popular because of their programmable features. The KRUPS model KM7005 includes the stainless steel conical burr grinder which helps to grind coffee beans from coarse to fine. There are 5 different setting for grinding and 3 different settings for coffee strength. All important features that are described above are included in this coffee maker. In short, by buying this model, you can have a complete package at a reasonable price.